MultiPurpose’s goal is to help you build unique and modern websites fast, easy and with the lowest cost possible. With MultiPurpose you can create many unique style websites for differends needs and purposes. For example business website, magazine, shop, hotel and so much more. Create fast your unique website with easy steps. 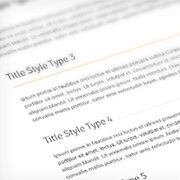 Choose one top header style, header menu, slider type, color, pattern or frame, font, boxed or wide version. Build your content using tons of different widgets and elements or choose one from predefinied page skin. It’s probably the most customizable template in the world. Super premium clean and clear, ultra profesionall, multipurpose, detail oriented design made by experienced top award winning designers. MultiPurpose can be used to create literally ANY Type of Website. 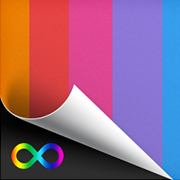 Order MultiPurpose Today and we will give you lot of addons to the theme, 100% Free! Build Websites With The Lowest Cost Possible. 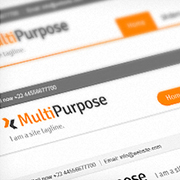 MultiPurpose is one and the only theme with unlimited possibilities. We are constantly working to improve the theme with new features according to customers feedback, so feel free to contact us if you need some more useful features or subpages! Multipurpose is probably the most customizable theme ever has released. We tested it and so far there is probably no other template, which have so much customization options included. Thanks to MultiPurpose you can now build websites with the lowest cost possible. MultiPurpose’s goal is to help you build unique and modern websites fast, easy and with the lowest cost possible. With MultiPurpose you can create many unique style websites for differends needs and purposes. You can now start to build better websites with MultiPurpose. Most customizable responsive HTML5 and CSS3 template ever has released. To build your website you can choose from variety of headers, titles, menus, sliders, color skins, fonts, frames or patterns for boxed version. MultiPurpose can be used to create literally any type of website. The only limit is your imagination. Order MultiPurpose Today! We tested it and, so far there are no themes which have have, so much customization option included. If you find the feature that could help for better customization – we will inlude it in next release, 100% free. We are constantly working to improve the theme with new features according to customers feedback, so feel free to contact us if you need some more useful features or subpages! With MultiPurpose you can build websites with the lowest cost possible. MultiPurpose’s goal is to help you build unique and modern websites fast, easy and with the lowest cost possible. With MultiPurpose you can create many unique style websites for differends needs and purposes, so that you can build better websites with MultiPurpose now. MultiPurpose has got tons of the outstanding features. It is probably the most complete and custmomizable template in the world. It includes for example: 14 predefinied different index pages for multipurpose usage, 12 predefinied different menus, 12 predefinied different ThemeMotive sliders, 10 styles of the headlines and so much more. 2012-2015 MultiPurpose WordPress Theme by ThemeMotive | All rights reserved.